I can’t believe I made butter! Ever since I started milking Daisy, a few months ago at least, my mind has been brimming over with cool ways to utilize the milk. Since I’m not much of a cereal connoisseur (Gene said women who are almost 40 are legally prohibited from buying Frosted Flakes), I’ve pretty much just been dumping the odd bit of fresh milk in my morning coffee, and stockpiling the rest. When the fridge gets overrun with glass jars, I freeze it with the intention of turning it into goat’s milk soap. 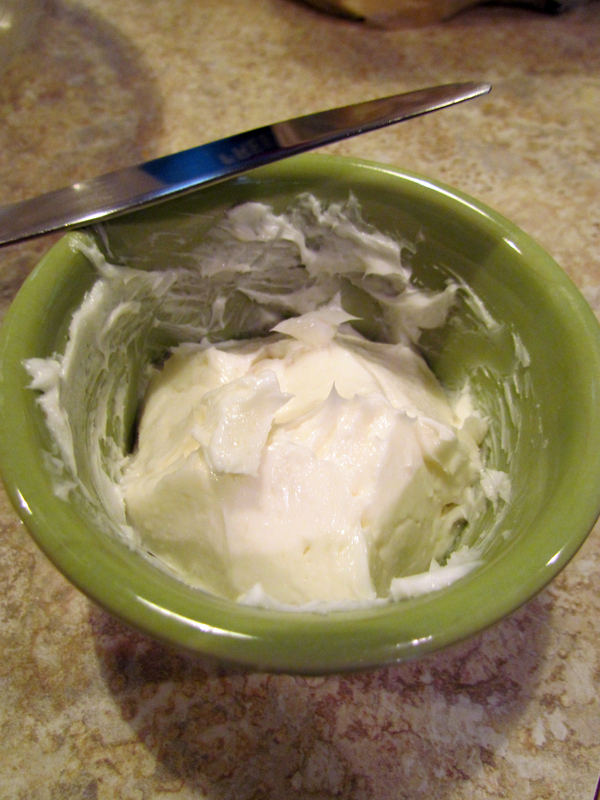 But now that I’ve discovered how to make delicious creamy butter with it, I doubt it will stay on the fridge shelf long. Converting the milk into butter is surprisingly easy – you just skim the cream off the top, wait until you have about a quart of it, then throw it in the mixer for about 10 minutes. A few more easy steps, and fresh butter! 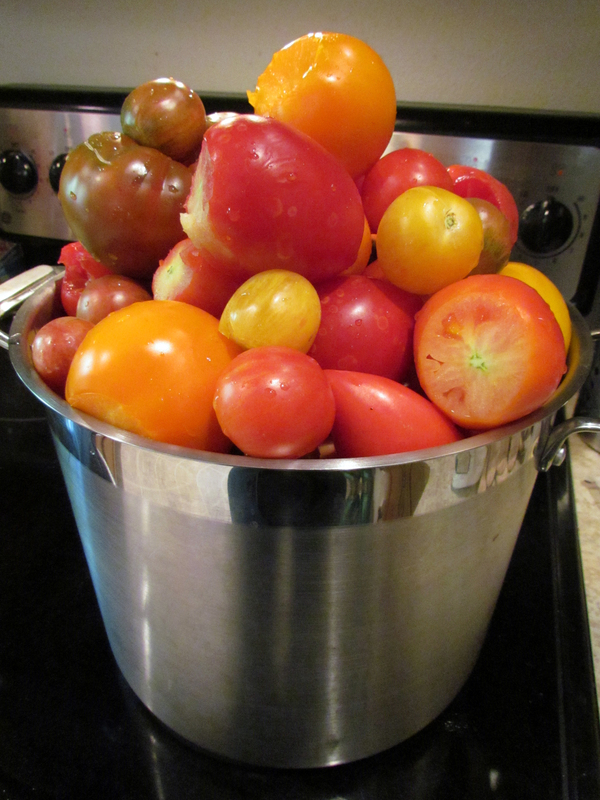 I also harvested my first batch of tomatoes, which I then crammed into a ten-quart stock pot. After coring them, I patiently watched the pot for hours while they cooked down into a soupy deliciousness, which I then put through a food mill to strain out the skins and seeds. After cooking it down overnight, working in shifts to stir it, we were able to can a whopping three quarts of tomato sauce. It’s amazing how much product goes into one little jar of sauce; no wonder they add all those fillers to the junk you buy in the store. My culinary adventures haven’t been limited to buttery, tomatoey pursuits, however. We made our annual pilgrimage to Duris Farms in Puyallup and came home with 20 gallons of cucumbers. It took me the better part of a day to slice them all (I take a lot of union breaks in between batches), but we were able to convert them into 30 jars of pickles. We also made more jars of blackberry and raspberry jams, and I even tried a test batch of pickled Mexican Sour Gherkins. 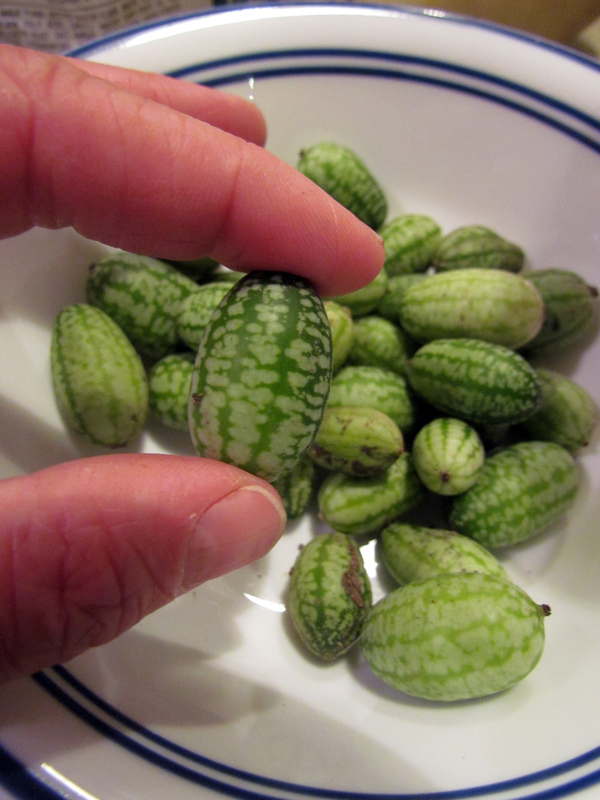 Although I didn’t know this when I purchased the seeds last year, apparently the “mouse melons” are all the rage in New York. People buy them for $100 a pound out there! Sadly, the people around here aren’t nearly that stupid, so I doubt I’ll be able to retire on my gherkin fortune. The best part about making so many pickles was finally harvesting some of the dill that’s been threatening to overtake the back garden. I thought about perhaps cutting some of it down, just to make a little bit of space, but when I looked at all the flowers more closely I realized it’s once again become a ladybug sanctuary. Although the plight of the ladybug isn’t as well publicized as that of the honey bee, ladybug populations are also dwindling rather alarmingly. I would never do anything to take away what they so clearly love to call home. I also love watching them develop; their larval stage looks sort of like a segmented salamander, which cavorts around the garden for a bit before curling up into a little ball and somehow transforming into the familiar beetle shape. It’s one of the coolest things ever. Watching out for the little guys also meant I made several emergency trips from the kitchen sink, where I was washing the freshly harvested dill, back out to the garden to return the future ladybugs to their own personal Eden. 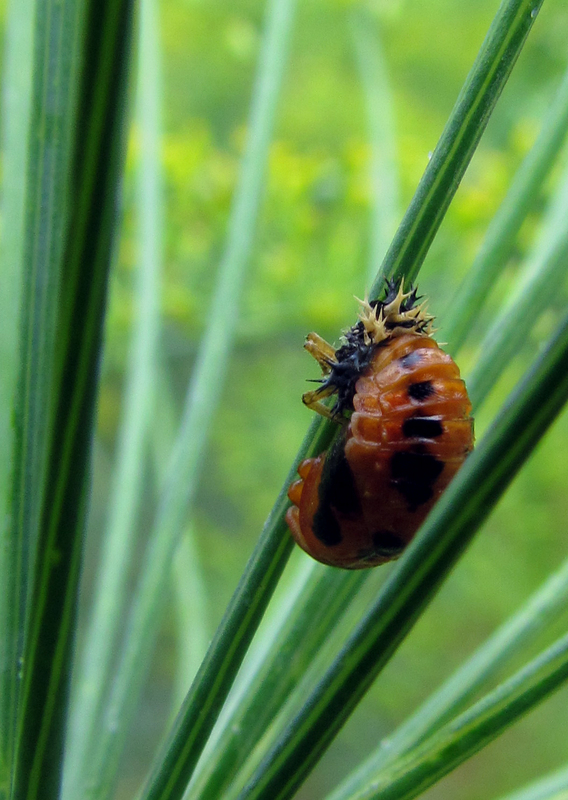 We could have pickeled ladybugs…. Lol can’t wait to try the butter!